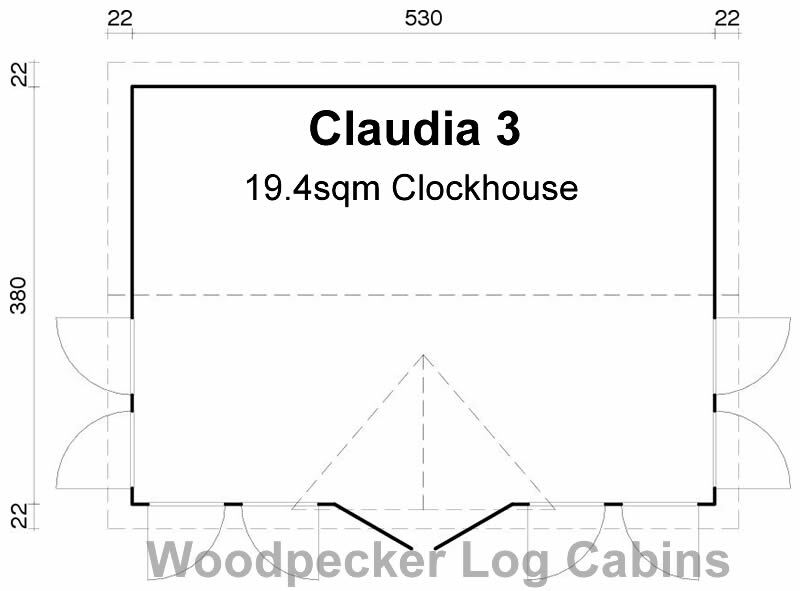 Ideal as a summerhouse with a clockhouse look. The combination of a floor area of 19.4sqm a 35° roof pitch makes this cabin feel huge inside. The eight half height windows and half glazed double doors make this cabin light and airy. 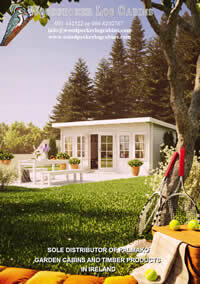 Use as a summer house, hangout room for the kids, study, hobby room for yourself or just as a summer house. Add a veranda or decking at the front for a great multi-purpose cabin. 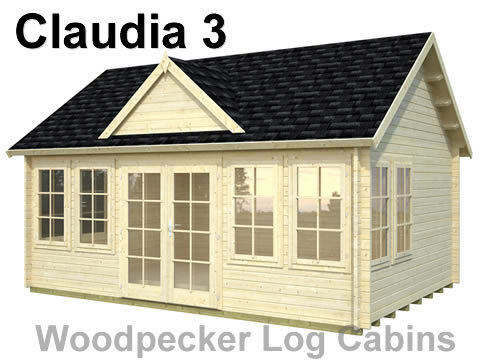 This is one of our most popular cabins for the medium to large garden.